MainelyTangles: Weekly Challenge #135: New Official Tangle "Well"
An official new tangle Well. 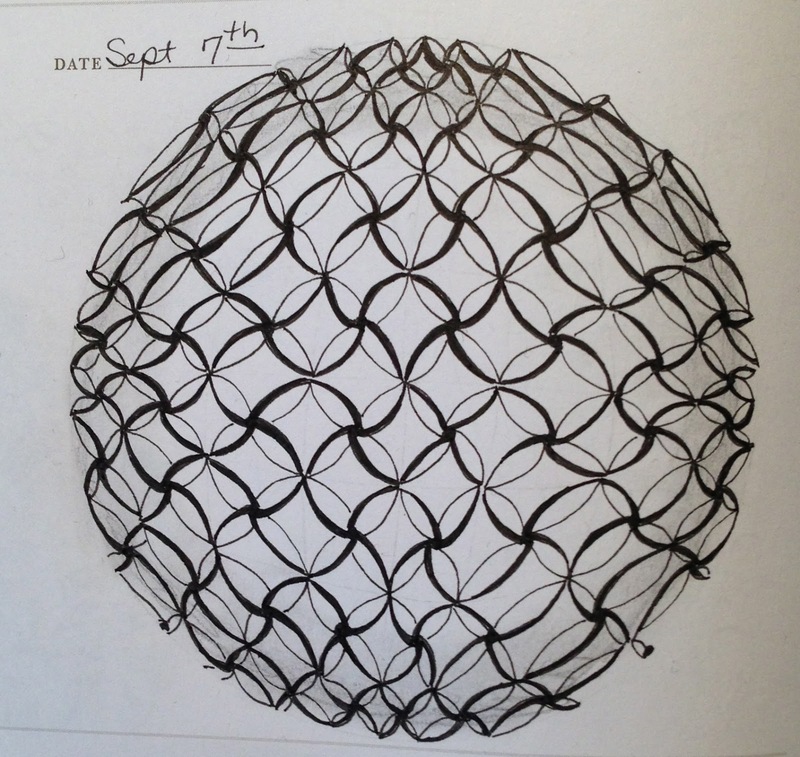 I had only time to play with this new tangle in my sketch book when it first was introduced. Thinking I would be able to do a tile later I did not enter this into the challenge. It is now the end of the week and yet no tile! Ack! So, here is my sketch. 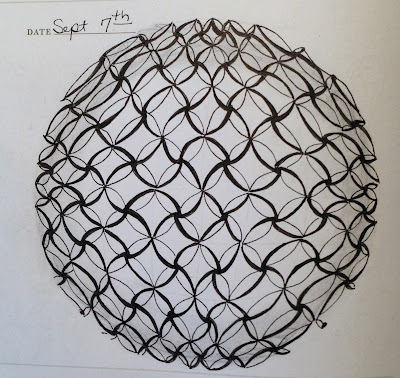 I am always looking for tangles that fit into the sphere. I think this one fits fairly well. (Idid not plan that pun). This definitely makes a great sphere. You did a great job on it. Well yes!! this one fits pretty Well!! I love how you made it look like a round ball. Perspective, baby, and you've got it! Good job!